Wouldn’t it make sense for high schools and colleges to more closely align their program offerings with the demands of the modern economy? Students would have better job prospects upon graduation, companies could select from a larger and better prepared pool of candidates, and schools could boast a greater return on investment for their graduates. J.M. Wright Technical School and UCONN/Stamford embrace this strategy, and it pays dividends for those who attend. Their location within a major Connecticut city not only provides an enriched educational experience, but also the opportunity to network, intern and seek employment with a diverse group of centrally located businesses and organizations. High school students interested in fields such as hospitality, culinary arts, digital media, healthcare, finance, construction and automotive repair will find programs that suit their professional ambitions. Entertainment companies like Blue Sky Studios, ESPN and WWE draw countless applications from Connecticut residents. In response, Wright Tech offers a four-year Digital Media program to give students a leg-up in the job market. Similarly, UCONN/Stamford offers a Digital Media degree with concentrations in web design, 2D and 3D animation, digital game design and digital media strategies for businesses. As a state legislator and former teacher, my reason for supporting these two schools is simple: The business climate is evolving, our educational system must also evolve, and it must evolve at every level. Wright Tech and UCONN/Stamford “get it.” Rather than requiring high school and college-aged students to pursue traditional academic degrees that may not support their career goals, they are encouraging their students to follow their passions and invest themselves in unique programs. UCONN/Stamford has taken things to the next level. 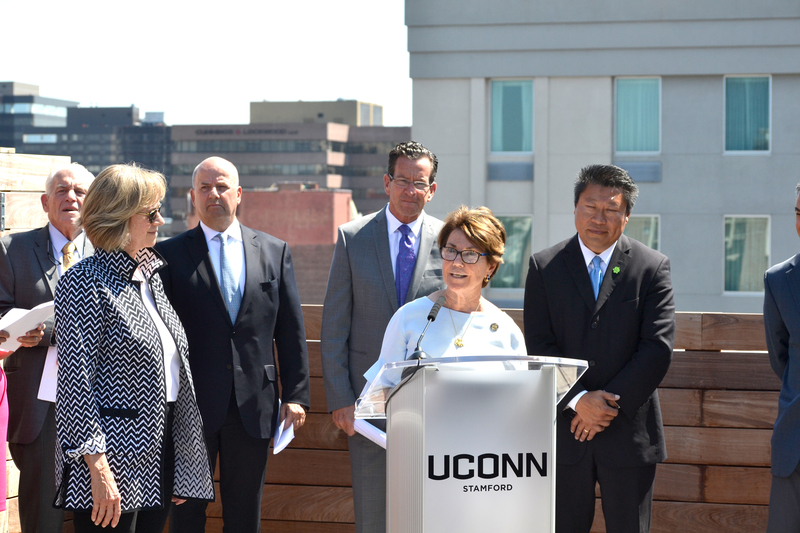 Last fall, UCONN/Stamford – the largest of the regional campuses with 1,700 undergraduate and 600 graduate students – opened a dorm building where 116 apartment-styled units are available to house up to 350 students. They attracted so many first year students that an additional 100 beds were opened this year to meet the residency demand. Recent college graduates are drawn to the allure and opportunity of cities like Boston and New York. Now, with new companies and intriguing career options springing up in Stamford, Wright Tech and UCONN/Stamford will be at the center of it all. This synergy may be the key to attracting and keeping young people in our state. This educational paradigm offers an evolved, modern, and dynamic model for the future.